Muddys Pit BBQRecord Owner? Log in. 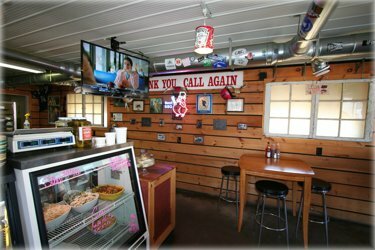 Have something to say about Muddys Pit BBQ? Reviewed September 2, 2018 via mobile Great BBQ Made the 100km trek to Muddy Pit BBQ, happy we did. After following them on Facebook for a year we were finally able to make the trip. We had the Carnivore Sampler, Jambalaya, Chick Pea Salad and a Pretzel. When we were all done we were happily stuffed. Each meat was perfectly done and oh so tasty and the accompanying sides complemented our meal perfectly. Great job! 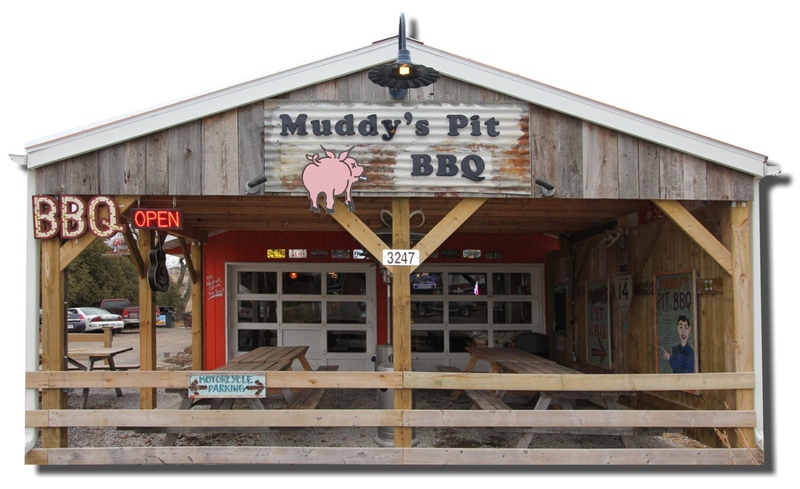 I've had BBQ's in Louisiana, Mississippi and Texas and Muddys is the best BBQ I've ever had! Neil, Marty and his crew do the real thing to locally sourced meat plus their salads and sides are top rated. I'm a foodie and I travel in my job so I get to enjoy great food. 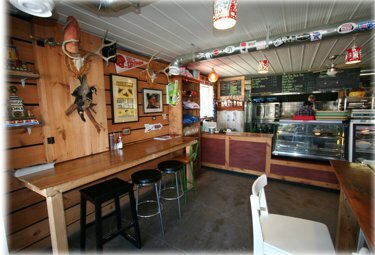 Take the drive to Keene in the rolling Northumberland Hills - you'll love it. If you want some authentic, low & slow smoked barbecue, then this is THE place! Muddy's is well worth the scenic drive in the country for great ribs, brisket and pork shoulder smoked out back over maple hard wood logs. You can get your order to go, sit on a barstool inside or at one of the roadside picnic tables. It's got the look and feel of a real southern BBQ joint but owner, Neil, uses all local meats and even grows some of the herbs and veggies for the sides out back. We recommend the pulled pork or brisket sandwich sloppy (that means topped with homemade apple-cabbage slaw) or a rack of pork back ribs. They are all tasty on their own or you can add a squirt of either Kansas City Red or Carolina Vinegar sauce. Both are house-made along with the rub. You can even pick up a bottle of the red or package of the rub along with a ball cap and t-shirt. Some of the smoked meat is available frozen so you can have a little extra stashed away for that day when you're craving real good barbecue. Open Wed-Sat, 11am-7pm (Tuesday is smokin' day). A block or so from the 4-way stop in the lovely township of Keene, 15-20 mins. from Peterborough.